The Year of the Bird started nicely with a red-breasted nuthatch, a visitor to my peanut feeder on New Year’s Day. I couldn’t have ordered a better “first bird” of 2018. Since then, however, the action in my backyard has been slow. I figured the January deep freeze would trigger a feeding frenzy but it did not. Could the neighborhood birds have found more appealing offerings elsewhere on the block? Not likely. Besides the peanuts, I’m serving up black-oil sunflower seeds, thistle and suet, plus a heated birdbath. My yard is a winter bird paradise! Of course, instead of just watching my feeders I should be out driving the backroads of Kane County, searching for horned larks, Lapland longspurs, snow buntings and other open country winter species. With luck, maybe even a snowy owl or rough-legged hawk. Or I could head to Lake Michigan and do some gull watching. Already in 2018, a mega-rare ivory gull was spotted at the Lake County Fairgrounds, and a slaty-backed gull turned up at Calumet. A varied thrush teased birders for several days in Palos. I did venture to the lakefront in January, but for a different kind of birding experience. My destination was the Peggy Notebaert Nature Museum, currently hosting an eye-popping exhibit on the Birds of Paradise (through June 10). The main attraction upon my visit, however, was Noah Strycker, a guest of the museum and the Chicago Ornithological Society. Strycker’s new book—Birding Without Borders: An Obsession, A Quest, and the Biggest Year in the World—is a big hit. For me, nothing except birding beats a good book about birding, especially when the wind chill is way below zero. I loved every page of this one, which details the author’s epic 2015 adventure. Following a year of planning, Strycker ripped off 365 straight days of birding, visiting all seven continents and 41 countries with a goal of finding 5,000 species. If successful, he’d crush the global big year record achieved in 2008 by a couple from England. Spoiler alert: he did it. In fact, Strycker ended with 6,042 species, more than half of the world’s birds. It truly was the Biggest Year. Strycker’s story is remarkable on many levels. 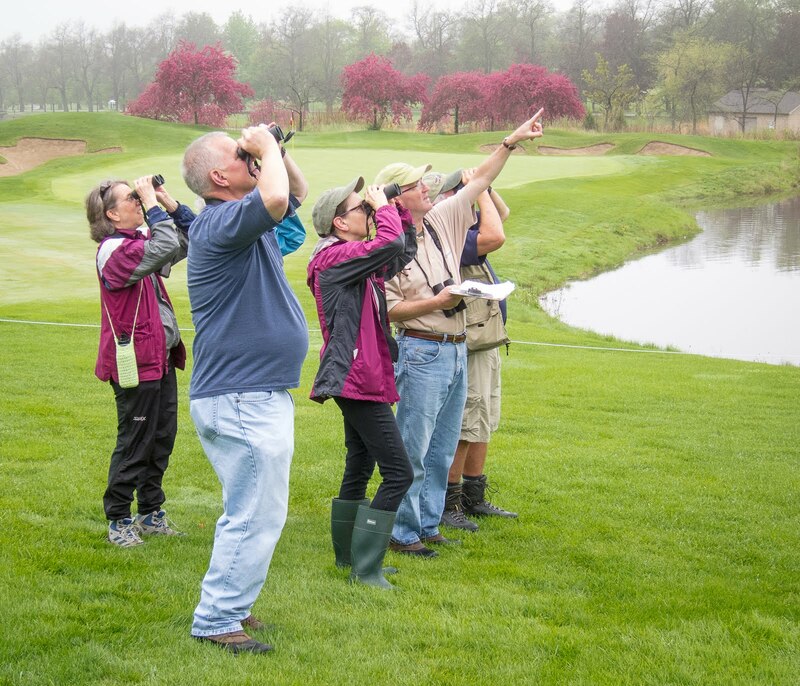 Every destination was carefully chosen, and at every location he had at least one resident birder ready to help him find the local birds. The logistics of it all boggles my mind. To his credit, Strycker did not hire professional guides. His budget wouldn’t allow it—expenses for the whole year totaled only about $60,000. But it wasn’t just the money. One of Strycker’s key objectives was to spend the year birding with locals. His story is as much about people as birds. The stamina factor also fascinated me. Strycker is only 31, which helps, but he still suffered periods of extreme exhaustion from so many days of dawn-to-dusk birding, difficult travel, unfamiliar food, and end-of-day blogging and record-keeping. Sleeping on a stranger’s sofa or floor was routine. Strycker is a gifted writer, and his presentation skills we’re shockingly good. 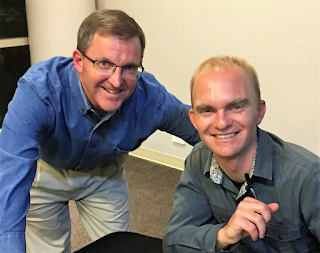 He rocked an overflow crowd at The Peggy, recounting his adventures with enthusiasm, humor and a wonderful sense of timing. During his big year, Strycker learned that another young birder, Arjan Dwarshuis from The Netherlands, was planning a global big year of his own, for 2016. Naturally he was tracking Strycker’s every move and every bird—easy to do since Noah was documenting his trip on the National Audubon website. The Dutchman ended his journey with an astounding 6,833 species. So Strycker’s global big year record didn’t hold up, but he’s OK with that. He succeeded by any measure, crushing his original goal of 5,000 species, making new friends around the world, and raising awareness about birds and birding. 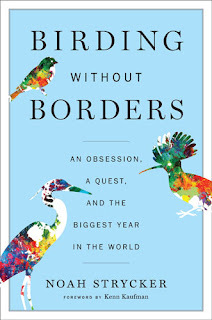 Grab a copy of “Birding Without Borders.” I think you’ll like it, too. In fact, the book inspired me to get outside and bird, frigid conditions or not. In late January I attended a pre-dusk short-eared owl walk at Springbrook Prairie in Naperville, and this month I’ll be in Lake County for the 17th annual Gull Frolic at Winthrop Harbor. Winter birding, while not my favorite, can be quite satisfying—especially during “invasion” years like this when common redpolls, pine siskins and snowy owls are possible. I’m not putting away my woolies and hand warmers yet. Copyright 2018 by Jeff Reiter. All rights reserved.